Savannah is a unique tourist destination. Summer time sees crowds because of school breaks: it also sees high room rates and nearly unbearable heat and humidity which can make it unpleasant for visitors making their way from one attraction to the next. The winter months of January and February is low season - at this time you will see a drop in the temperatures and a drop in room rates. The fall from mid-September through mid-November is a good time to visit Savannah when it is uncrowded and room rates are reasonable. But the best time to visit Savannah is spring from March to June - this season is similar to the fall but with the added attraction of blooming flowers. January is the coldest month of the year in Savannah and is the peak month of the city’s winter. Average high temperatures reach 60°F (16°C) while the average low temperatures will sink to 39°F (4°C). Savannah doesn’t get snow, but evenings may bring some icy conditions. In February, the average high and low temperature increases by a few degrees for the last of Savannah’s winter months. The high temperature average is 60°F (16°C). Low temperature is 39°F (4°C). Savannah Weather in March: Spring comes to Savannah in March along with warmer temperatures. Average high temperatures breach the 70’s at 71°F (22°C). Thick sweaters are still a requirement in the evenings when average low temperatures hit 48°F (9°C). In April, temperatures creep up further to an average high of 78°F (25°C). During this month, many of the spring foliage and flowers are at their best, making this month one of the best to enjoy Savannah’s gardens and arboretums. Low temperatures reach 54°F (12°C). May is the last month of spring in Savannah. The average high temperature jumps to 85°F (29°C). Meanwhile, the average low temperature is a comfortable and cool 62°F (17°C). Savannah Weather in June: The first of the summer months in Savannah is June where in high temperature averages jump to 90°F (32°C). Low temperatures average at 70°F (21°C). July is the hottest month in Savannah with average high temperatures peaking at 92°F (33°C). During this month, low temperature averages are also the highest in the whole year at 73°F (23°C). Summers can get humid and intense in Savannah, shady activities are best during this month. In August, Savannah experiences the most rainfall in the entire year despite being the second hottest month. The precipitation averages 7 inches (167 mm) while high temperature averages decrease by one degree. Low temperature averages also decrease by one degree compared to the previous month. Savannah Weather in September: Summer transitions to autumn in September and temperatures begin to go down to the 80s again. Average high and average low temperatures range between 86°F (30°C) and 68°F (20°C). October brings cooler temperatures to Savannah with the autumn season in full swing. The average high temperature to be expected during this month is 78°F (26°C). Be prepared for average low temperatures of 58°F (14°C). In November, the climate gets cooler for the last of the autumn months. Average low temperatures will sink to 48°F (9°C) at the most. November is also the driest month of the year. Expected rain fall is a mere 2 inches (60 mm). Savannah Weather in December: The second coldest month of the year in Savannah is December. Average high temperatures peak at a 62°F (17°C) while average low temperatures sink to 41°F (5°C). Explore the best of the dogwoods and see them in full bloom during the early spring months of April through May. Sightseeing in general is best during March through May and September through November, then the climate is not too hot and not too cold. To enjoy the best of Savannah’s festival season, plan your trip around the month of March. If you just want to avoid crowds and come when it is colder, November through March is a great time to swing by. For visitors who want to arrive by airplane, the Savannah Hilton Head International Airport is the airport that serves the city. 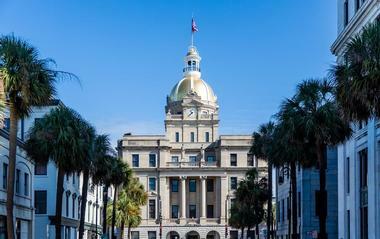 It is less than ten minutes from the airport to downtown Savannah. Several domestic and international airlines fly in and out of this airport. For people who enjoy riding on trains, Amtrak’s Silver Service/Palmetto stops in Savannah on its way from New York to Miami. Arriving by car is easy because I-95 passes just ten miles west of Savannah; there are several other routes including I-16, U.S. 17 and U.S. 80. Greyhound and Southeastern Stages are two bus companies that have routes from Savannah to other cities in the U.S. There are several ways to get from the Savannah Hilton Head International Airport into downtown Savannah. Located in the baggage claim area of the airport you will find nearly ten car rental agencies. The Chatham Area Transit (CAT) runs buses from the airport to various locations in the Savannah area. The official shuttle service is K-Shuttle: it has regularly scheduled service from the airport to several locations in the Savannah area. There are more than 20 taxi companies at the airport just outside of the baggage claim area. There are nearly as many limousine companies. Nearly l5 shuttle companies and motor coach companies are also available to take visitors into the city. Savannah has a large number of visitor information centers starting with the Visitor Information Center at the airport. This center is located in the baggage claim area. Staff can help answer questions before visitors even leave the airport, including questions about accommodations, attractions, restaurants, shopping, how to get into the city, and how to get around the city. The center provides a large variety of brochures and maps. The MLK Visitor Information Center on Martin Luther King Jr. Boulevard in Savannah’s Historic District is the city’s main visitor information center. Other choices include the Visit Savannah Visitor Information Center, River Street Visitor Information Center, Forsyth Park, and Ellis Square. The Chatham Area Transit (CAT) is a great way to get around Savannah and see all of its interesting attractions. It is a bus system that connects the Historic District in the downtown area with many other places in the greater Savannah area. There are single fares and one day passes that offer unlimited rides all day. The system also offers free shuttles around the downtown area and a free ferry. It is a convenient form of public transportation that is not expensive; it is environmentally friendly; and passengers can sit back and relax, forgetting about the hassles of driving a car including trying to find parking. 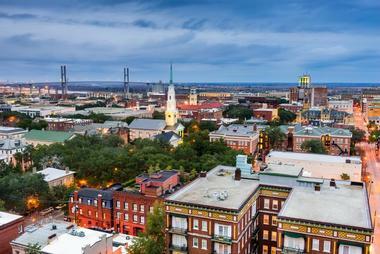 Savannah has become one of the best restaurant cities in the South. 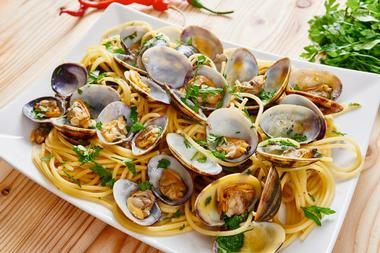 It is known for its seafood restaurants as well as its Southern cuisine. 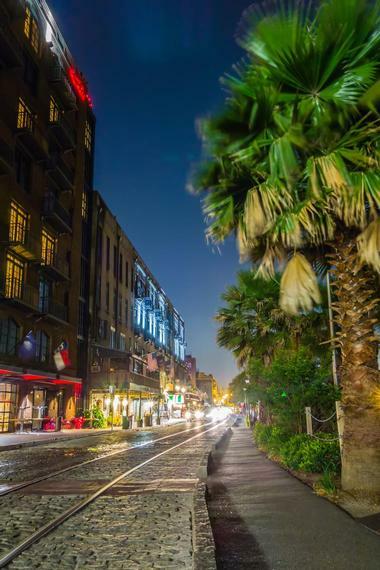 The best restaurants are located along River Street bordering the water in the city’s Historic District. Some restaurants serve contemporary dishes while others serve traditional cuisine. There are five-star dining establishments, trendy outdoor cafes where you can dine under the stars, and small mom-and-pop restaurants serving distinctive Low country cuisine and seafood dishes. For a unique dining experience, visitors can try Savannah Riverboat Cruises. In addition to dinner, there is live entertainment and of course outstanding views along the way. Shopping is a favorite past time in Savannah with its antique shops, trendy boutiques, quaint shops, and fun markets all found throughout the city. There are shopping malls, art galleries, specialty stores, and souvenir shops. 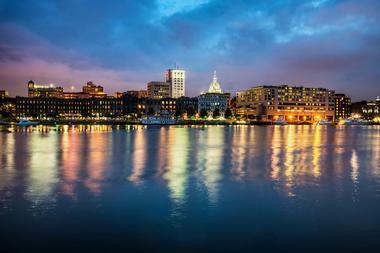 There are many souvenir shops along nine blocks of River Street including the Riverfront Plaza: this area is also full of other kinds of interesting shops that sell things like clothing, arts and crafts, and much more. 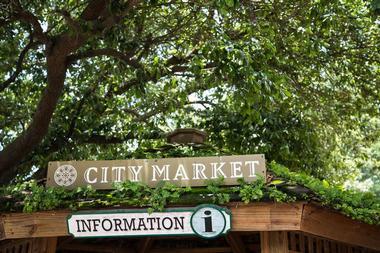 The City Market is a four block area of the city that contains art galleries, bookstores, boutiques, outdoor cafes, and fun horse-and-carriage rides. Outside of the historic center of Savannah you’ll find the Oglethorpe Mall and the huge Savannah Mall. When Savannah was founded in 1773, it was laid out in a grid pattern: this makes it easy to walk around the Historic District of the city. This is where most visitors will spend their time. It is full of well-preserved houses dating from the Civil War era. 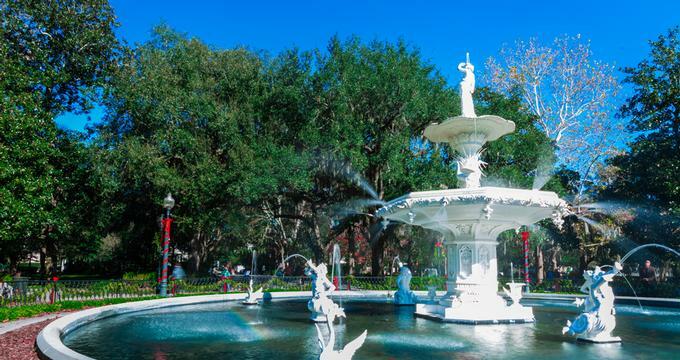 At the southern end of the district you’ll find Forsyth Park where you can rest or take a bike ride. At the northern end of this district, the Riverfront area runs along River Street that fronts the Savannah River. This area is known as a trendy place with its restaurants and nightlife. The Victorian District is located south of the Historic District and was Savannah’s first suburb. 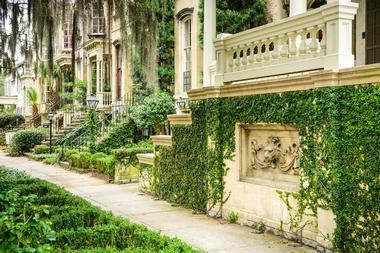 Because of its unique and beautiful landscape, Savannah is a popular place for weddings. A marriage license can be obtained at the Probate Court of Chatham County on Montgomery Street in Savannah. There are several hotel wedding venues such as the Hyatt Regency Savannah, the Westin Savannah Harbor Golf Resort and Spa, the Hilton Savannah DeSoto Historic District, and the Savannah Marriott Riverfront. Historic homes are popular venues for weddings: some of these include the Marshall House, the Brockington Hall Inn and Event Venue, the Mackey House, and many more. 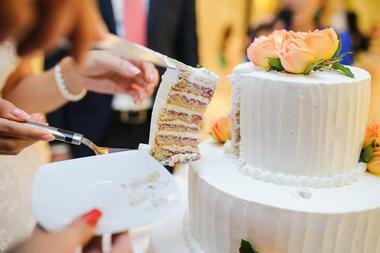 A unique venue for a wedding is the Savannah Riverboat Cruises: this company can host weddings as well as receptions. 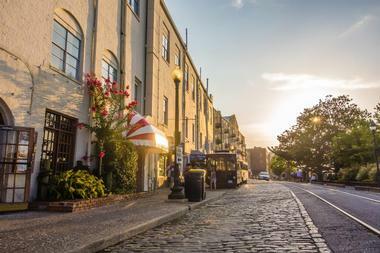 Savannah offers a wide variety of accommodations from which to choose. Luxury hotel properties include the Bohemian Hotel Savannah, Andaz Savannah, the Mansion on Forsyth Park, the Brice, the Westin Savannah, and more. A popular kind of accommodation in Savannah is one of the many small inns and bed and breakfasts found in the Historic District: the inns are in old homes that have been renovated to include modern conveniences. 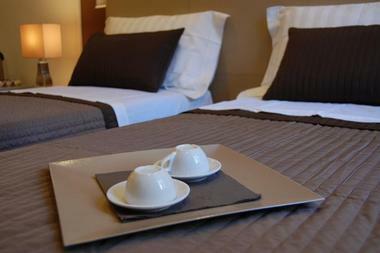 Since many of these inns are small, it is important to make reservations well in advance of your visit. Other options for accommodations in Savannah include chain motels on the outskirts of the city and self-catering apartments.